This makes me want to vomit. In all fairness, in ~8 years of clinicals and practice, that's the only one I've ever encountered, and that was just a voicemail to a PCP that went something like "Hey, Dr. X, it's Dr. Y over at somesuch physical therapy..."
Should I be a PA if I'm only interested in Psychiatry? Quick question to folks who applied last cycle, I noticed on the website, one of the pre-reqs is: "General Inorganic Chemistry (I & II) including lab - 8 semester hours" I'm not sure if this was a typo, as the majority of PA programs require General Chemistry and/or organic chemistry, but not specifically inorganic chemistry. So did all of you take inorganic chemistry or did you get by with general chem/organic chem? Boats. Excellent description and post. Your politically-incorrect comment is spot on!!! While the opportunity for all PA’s obtaining a residency would not be possible, expanding specialty (Derm, family med/ urgent care, ...etc.) CAQ for PA’s would be great. Either residency or a CAQ, with current standards, should be required in progressing toward independence. Very rough draft of PS: Help!! I was wondering if anyone could provide advice for psych clinical and how to study for EOR? How would one go about moving to a different state no job offer? No I did them all in Florida. Getting a rotation in Cali with no connections seemed like too much work to me at the time. Next CASPA cycle opens in 5 days.To reapply or not reapply is the question.. What's the plan for everyone else who's waiting for their post-interview admission status? I had a very low cumulative GPA like around 3.2 4800hrs as Medical Assistant, 200hrs family physician shadowing, 50hrs volunteer for visit once a week elderly, 20hrs online class computer training to the senior, 90hrs internship as a health environmental safety inspector. ROL: two professor, one from my clinic physician which I work with But I didn't take biochem, organic, and genetics. I'm planning to take it in summer. Is there have any chance I can get into the program with this low GPA ...? Thank you so much! I have to meet some of these DPT/DNP people you guys encounter who call themselves “doctor.” I have my doctorate in physical therapy and did my residency in orthopedics; I am proud of my credentials and I have never called myself that in a clinical setting. It’s frankly embarrassing. On a side note, I know a few PT-DO and PT-MDs who received a bachelor’s in PT back in the early 90s. I have gotten the impression that they’re threatened by the DPT; they’ll argue that the curriculum is the same when that couldn’t be further from the case. They’re still a PT but the training is not the same. Hi! How was the interview, have you heard back? Hi! I have my interview next week and was wondering if you could provide any insight. Did you like the school? Are you accepting your offer there? Was it an individual or group interview? Thanks! Geeze! That's a lotta arrests. Also a lot of neuroprognostication. Sounds like a sweet gig! I actually totally agree with the above. There may come a day when the need to prove yourself won't be there, but that will either come with a significant amount of time in the same area or some sort of "board" certification. Or med school. I know too many people from my class who passed the PANCE to be comfortable with just anyone treating patients. I will risk being shadow-banned by a certain moderator here (again) by giving a politically-incorrect answer (meaning one that people don't like, but that doesn't mean it's not true). It's all about standards. And if you talk standards, you HAVE to talk about MINIMUM standards. You can have certain credentials that prove you have met minimum standards of competence. Like Board Certified Emergency Physician (or Board Certified **insert specialty here**) means you are at the top of the game in Emergency Medicine (or other specialty), so it is reasonably safe for everyone to assume such a person is competent in their specialty. With that credential we know that the person graduated medical school and has (with rare grandfathering rules) completed an Emergency Medicine residency and passed Emergency Medicine boards. The MINIMUM standard for being a PA is passing a 26 month intense program of medical education and passing a test that virtually everyone passes. That is a big difference. Oh, and that experienced 20 year PA could have worked in urology for 19.5 of those 20 years, and now that he's in your ED doesn't really know how to manage an unstable arrhythmia. Likewise, that experienced 20 year PA who worked in the ED for 19.5 of those years wouldn't know how to reconstruct a bell-clapper deformity. The MINIMUM standard for being a NP is being a nurse who passes 24 months of part-time online classes, and shadowing a friend in clinic for 500 hours, then passing a written test. That is a HUGE difference. But, like it or not, those ARE the standards. So, if you are a physician/midlevel/APP/RN/RT/CNA/adminiscritter or ward clerk, how do you know if someone you just meet is competent in their job? If the MINIMUM for their credentialing means that they passed their specialty boards in medicine, you can assume they are indeed a specialist. If their MINIMUM standard is a 26 month program that lets them move between specialties...yeah, I'm not going to assume they are competent until they prove it. Will practice based OTP change this? nope. It's human, and protective, in nature. As we continue toward specialization (CAQ's) I think this will improve, but that will be a long road. Also, if you go to a civilian PA program and still want to serve in the NG, you can sign up for a 6 year hitch. They will pay $75k ($25k a year) towards your student loans for the first 3 years and then another $25k a year for the next 3 years. That's $150k! Most of the NG PAs I know went this route instead of IPAP. Took a quick skim, it's frankly bland and won't separate you from other applicants; I don't get any indication of who you are as a person. Let me just dissect out this paragraph: My current position working as an STNA has further fueled my desire to become a PA. (First off, write out an abbreviation before using it) Because the facility that I work at combines skilled nursing, rehabilitation, and long term care, there is always a variety of providers coming in to examine the residents. Frequently, a PA comes to see the residents. 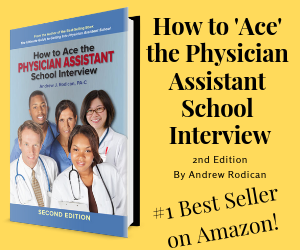 I have seen firsthand how a successful PA is able to fill these residents and their families with a sense of calm, despite the fact that they may only have weeks or even days to live (How has this anything to do with your desire to be a PA? You just used two sentences to tell me nothing about you). Being a long term care STNA has been a rewarding experience and instilled in me a passion for geriatrics that I hope to incorporate into my future as a PA (You haven't told me anything that leads to be believe it was rewarding, all you did was tell me how you saw PAs talk calmly to patients...HOW was it rewarding - HOW did it instill a passion for geriatrics).